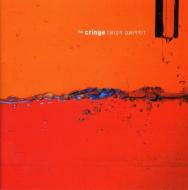 Formed in New York City in 2004, The Cringe are one of those rare bands that have equal part pop song craft, punk rock passion and big rock showmanship. Their sophomore album, TIPPING POINT, has a warm and rich tone due to the fact that it as recorded and mixed entirely on analog tape without the use of any computers or digital effects. Some songs on TIPPING POINT sound like a four-piece rock band playing in a small, loud club; some songs are more lush, with string sections and exotic instrumentation - but whatever the setting, the record is an accurate document of what a band sounds like playing live.